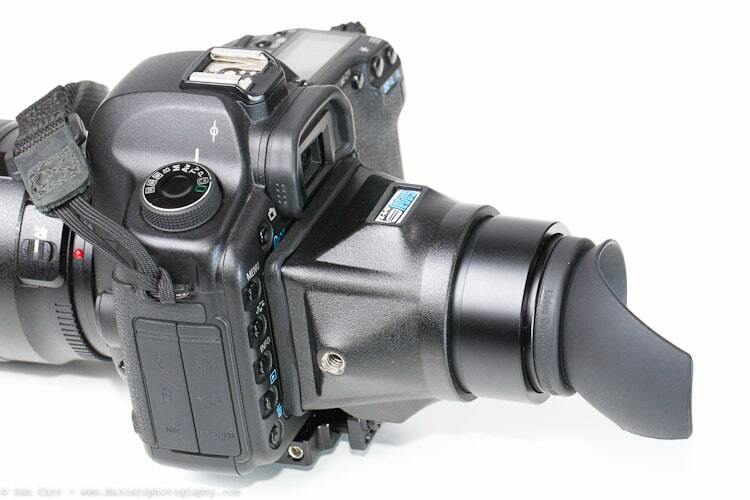 For serious video shooting with a DSLR you need to have a separate viewfinder that magnifies the image on your LCD. Not only do they keep the sun from your screen to aid your framing and composition but they also allow you to accurately focus with the very narrow DOF that comes from shooting with these types of cameras. There are already many viewfinders out there but the Hawk VF from Letus is one of the newer ones. Let’s take a look at the new aluminum version and also reveal their brand new quick release system! Letus launched the Hawk VF a couple of months back with a carbon fiber body and a semi-fixed baseplate attachment. I say semi-fixed because whilst you could detach the Hawk from your camera, you had to loosen a couple of screws to do so. It was suggested that a much quicker release mechanism would be a great improvement and the guys at Letus have listened to the requests! For the last few days I have been playing with the final prototype of the new Quick Release system for the Letus Hawk Viewfinder. On top of that, I have also given the opportunity to take a look at the new CNC machined aluminum bodied version of the Hawk. So let’s get right too it because there is some great stuff to look at here. First up lets take a detailed look at the QR system because this is brand new! The photos above shows the old baseplate on the left and the new QR baseplate on the right. For anyone that has ever done a bit of woodwork, the actual quick release part of the plate looks something like a mortise and tenon joint. A small tongue protrudes beneath the actual viewfinder and gets inserted into a slot on the back of the baseplate. Inside the slot are two spring-loaded balls that click into indents on the sides of the tongue to hold it firmly in place. Should the springs weaken over time, they are entirely user replaceable via two screws on the side of the baseplate. The system works vey well and gives a satisfyingly loud CLICK when you slot the VF into place. In reverse, it takes a decent force to pull the viewfinder away from the screen, it’s not going to come off unless you want it to. 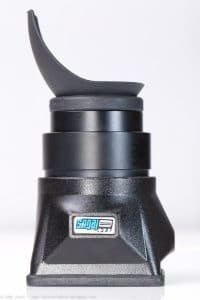 As a courtesy, LetusDirect.com customers who have already purchased a Hawk VF will be able to claim a FREE upgrade to the quick release plate once they are in production in about two weeks time. Can’t say fairer than that! 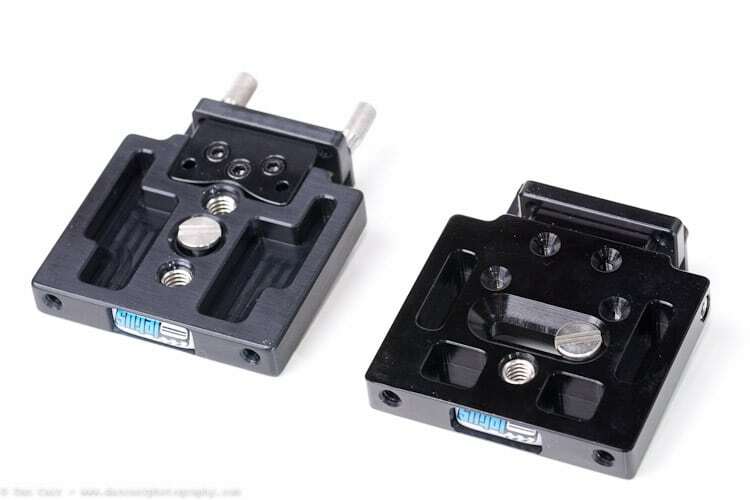 Once the QR system is in full production, the original baseplate will be phased out, but those of you who have no interest in quickly releasing the VF can still permanently mount it to the baseplate with included screws which go into the bottom. I did not have a carbon fiber Hawk to photograph next to my aluminum one so the inset image is from Letus. Carbon fiber is one of the strongest composite materials on the planet and it is very expensive and time consuming to create complex shapes with it. This is I think the first time that I have seen any sort of camera accessory made from such a material. I was expecting the CF version of the Hawk to be considerably lighter than the aluminum one but I’m told that in fact the difference is a mere 3oz, most likely because the bulk of the Hawk’s weight comes from the more complex optics but more on that later. The other features of the 2 Hawks are identical, the lens and eyepiece simply screw into the main chamber or shroud as they call it. So the choice between the two will really just come down to personal preference. I have included plenty of images here of the aluminium one which I think looks fantastic with a slightly textured anodized coating on it. The coating seems to prevent unwanted scuffs and scratches very well so one thing that I am certain about is that I prefer aluminum over plastic. It might be slightly heavier, but it just feels like a strong, quality product in your hand. 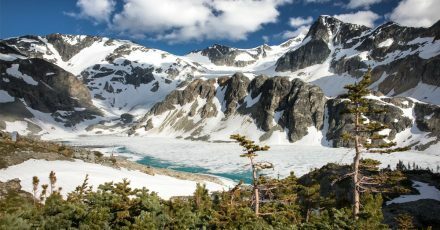 None of the viewfinders out there are inexpensive and when you are paying good money for a product its great to get the feeling in your hand that it was money well spent and that you have a dependable accessory in your bag. Limited use with the plastic-bodied Z-Finder left it quickly scratched and looking worse for wear but not so with this Hawk and its anodized coating. 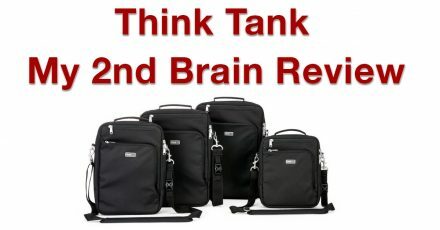 The modular design of the optics and the shroud also allows for new shroud sizes to be made in the future to accommodate new screen sizes when the inevitable transition to something bigger than 3″ occurs. This means you won’t have to shell out again for the expensive optical system in the Hawk, just simply buy an additional shroud. Brilliant forethought. Before they branched out into DSLR accessories, Letus was most famous for their 35mm adapters for video cameras. For those that don’t know, these adapters contain a complex array of spinning glass lenses and Letus were and in fact still are producers of some of the very best. This optical knowledge has been passed onto the Hawk with the usage of a custom optical unit made from 3 different lenses in 2 groups. This produces a much flatter image than one that is seen through a single lens diopter as used in all the other viewfinders. The Hoodman Hoodloupe that I also own produces some serious distortion and softening of the image around the edges, but the Hawk is clear and straight. The 3 separate lenses add to the weight of the VF, but the crisp image is there to justify it. 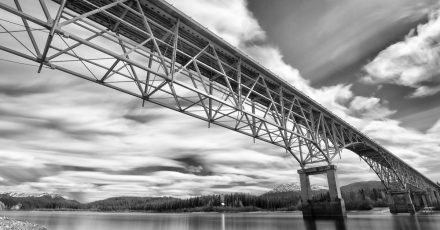 In my recent lengthly review of the Z-Finder Jnr on blog I criticized it heavily for its lack of an anti-fog coating on the lens which rendered it almost completely useless for shots longer than 5 seconds. The Hawk does have an anti-fog coating though and whilst it will eventually fog if you really press it hard against your face for very long shots, it was generally acceptably fog free. Near sighted and far sighted users are also accommodated with an eye piece adjustment that features a nice level of resistance to it. On my old Hoodloupe the problem was that the diopter adjustment was so free to rotate that you continually had to re-adjust it because it was always getting moved. On the Hawk though it seems to be tight enough that once it is set to your liking you don’t have to worry any further about it. 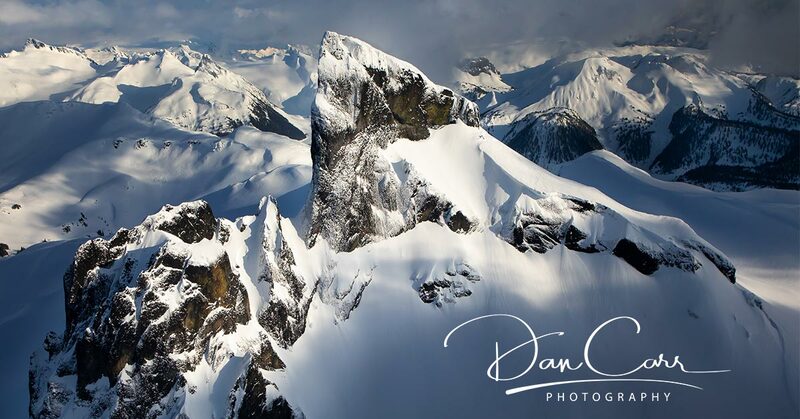 The amount of magnification in the viewfinder’s lens determines how big the image will look to your eye. 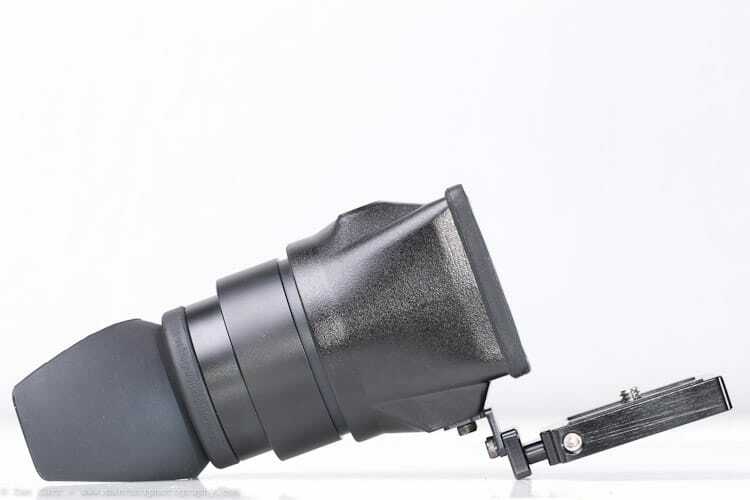 The Hawk VF has a 2.75x magnification lens in it, Zacuto Z-Finders are available with either a 3x or a 2.5x and the LCDVF is said to be around 2.8x. For me the perfect balance is a magnification where I can just see the whole image without having to shift my eye left or right, and at the same time not distinguish between individual pixels on the LCD. I have tried everything from the 1:1 magnification of a Hoodman Hoodloupe to the 3x magnification of the Z-Finder Pro but I think the Hawk has got it spot on with 2.75x. I can just see the whole image and there is no pixelation of the screen on my 5d or 1dMKIV. The difference to a 3x magnification viewfinder is not a huge one, but it’s one of the little things that adds together to create the overall experience of using a viewfinder this. I much prefer either 2.5x or 2.75x to a 3x lens. The Hawk also features a very sturdy rubber eyepiece which I found to not be quite as comfortable as the Z-Finder’s but had the compensating virtue that it made it more stable when holding it up to your eye. The Z-finders (Pro and Jnr) feature a very soft rubber eyepiece which feels nice on your face but folds in on itself if you are really bracing the camera against yourself to get that third point of stability contact. Maybe not a consideration if you are using this on a tripod, but for handheld usage with a minimal, or even non existent rig, I would take the extra stability over the marginally diminished comfort level. The photo below gives you an idea of the adjustments that need to be made when your Hawk first arrives. Once the baseplate is attached to the bottom of the camera I simply loosened all the screws until they were free to move around. With the included hex key they can be tightened quickly once you have the Hawk in the correct position over your screen. 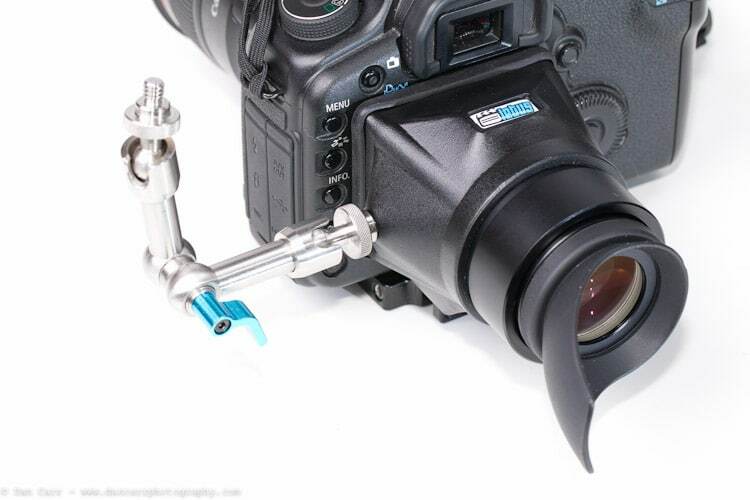 If you have a tall-bodied DSLR like a Canon 1dMKIV or a Nikon D3s then Letus offer a different attachment plate which can be added as an option at checkout from their online store. 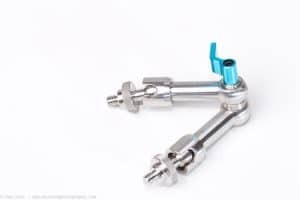 On the left hand side of the Hawk you will find a 1/4-20″ thread that can be used to mount an articulating arm as shown in the photo below. The arm in the photo is the Letus Micro Articulating Arm that can be purchased separately. It is quite a bit smaller than most other articulating arms out there and as such does not hold a lot of weight. 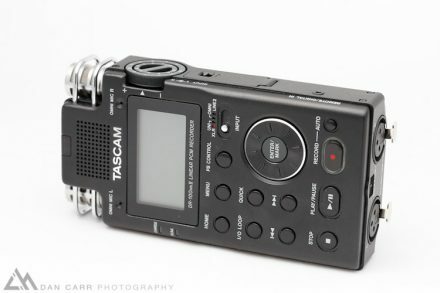 I would not suggest mounting an LCD monitor on it, or anything else of a comparable size, but a small lightweight recording device such as the Zoom H1 would work. 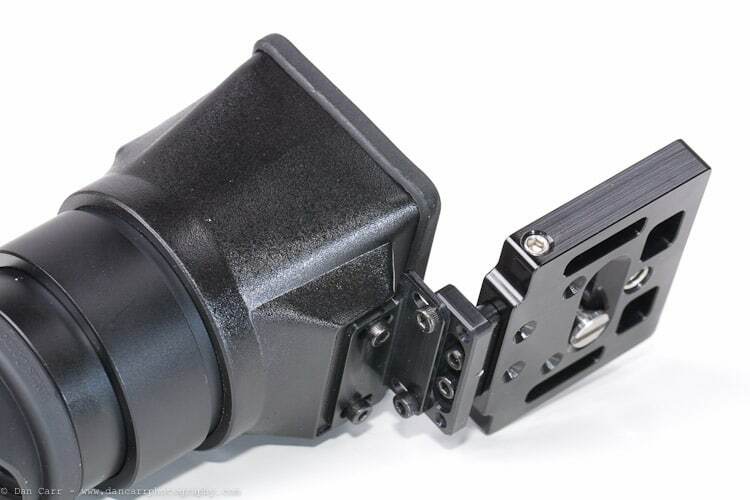 Some tripod heads even have a 1/4-20″ threaded socket so you could possibly use the arm to position the Hawk over your screen and dispense with their mounting plate. In the future Letus will be releasing a lanyard attachment for the Hawk which I would assume will be an aluminium eye to screw into this thread. 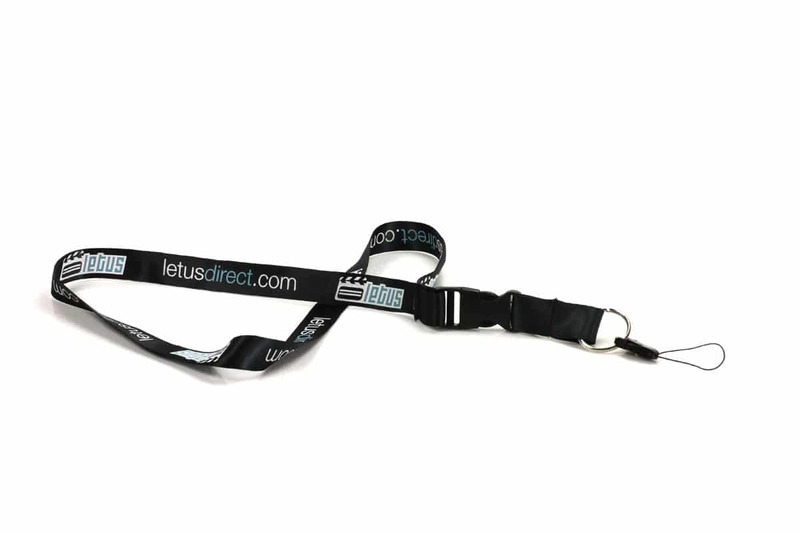 UPDATE: The guys at Letus have just sent me the very first photo of the new lanyard for the Hawk, see below! Not a lot to report in this section but worth mentioning a couple of things. The rubber cover that protects the LCD screen from the edges of the aluminum shroud is not permanently attached and as such has a tendency to come off when the VF is not pushing it up against the camera. I asked Letus about this and they are aware that something needs to be done about this now that they have the quick release system. They are testing various methods to establish what will be the cleanest way to stick the rubber to the shroud so keep an eye out for an update on that. As with the QR plate, they are listening and will find a solution. As I mentioned above they will also be offering a lanyard attachment soon as well. I really would have liked to see this included with the product because I find it to be very useful. For someone like me who is continually switching between still photos and video its nice to have the VF right there and ready so I look forward to seeing that added in the future although I am not yet sure if it will be made standard or as an accessory. These things are relatively minor complaints though but also bear in mind my earlier warning about the Micro Articulating Arm and its capacity. It looks sturdy in its machined aluminum design but is not designed to take a whole lot of weight and in my attempted usage with a small LCD I found it to be unstable. In the future Letus will be adding a larger and much sturdier articulating arm to their DSLR lineup that will be designed for use with an LCD. Ever since I saw images of the prototype Hawk from NAB I have been looking forward to getting my hands on one and I have to say that it really doesn’t disappoint. It looks, feels and more importantly performs like a quality product that I would happily recommend to someone who wants to shoot with an HDSLR. It’s going to be compared a lot to the ubiquitous Z-Finder and I would say the Hawk has the edge over the Zacuto product. The aluminum construction is solid and the new quick release system really puts it a step above the others because it actually IS quick to release. No fumbling around with screws and knobs. The current price for both the carbon and aluminum models is $385 which is comparable to the Z-Finder but feels worth every penny. I always had a feeling with the Zacuto that the plastic moulded construction was just not worth that kind of money but for hand laid carbon fiber or CNC machined aluminum it definitely is! 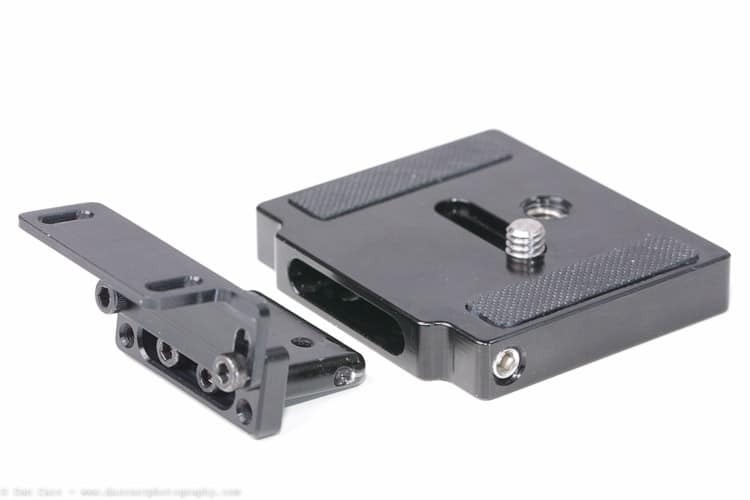 I also applaud Letus for taking peoples opinions on their first baseplate into account and turning around a quick release replacement so quickly and for free to customers from their store. That is the kind of customer service I like to see. 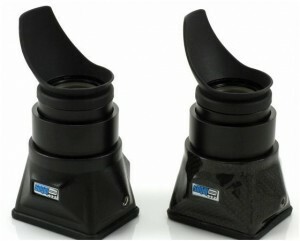 The fact that the shrouds will also be replaceable when new screen sizes come out is another reason to go for the Hawk so you know that you are making a longer term investment into their optics and if the Canon 5dMKIII turns out to have a 4″ screen then you won’t have to shell out another $400 for a viewfinder, or carry two around if you have cameras with different sized screens. 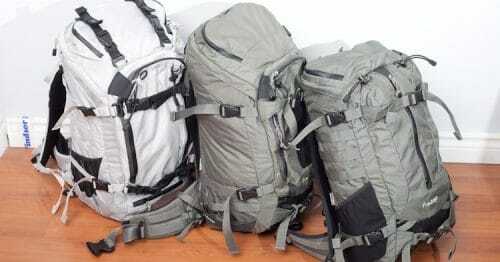 I highly recommend the Hawk VF and I think that I might have to find a permanent space for one in my bag! 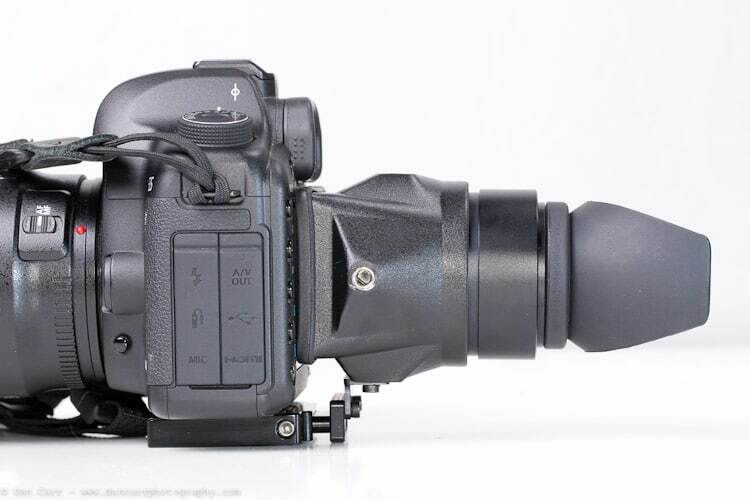 I would like to see the adapter plate Letus offers that allows one to mount this Letus Hawk view finder on a Canon 7D with a Canon battery grip attached to camera. It is in their web store somewhere but I personally don’t have a photo to hand at the moment. Thanks for a great review. Been trying to decide between Redrock Running Man/Letus Hawk combo and the Zacuto Striker/Z-Finder Pro combo (with the sale Zacuto has right now they are roughly the same price). I like the Hawk better, but think I would like the Striker better, and have been far more impressed with Zacuto’s customer service. I am thinking the VF is the more important piece of equipment which makes me lean toward the Hawk/Redrock Combo if that Hawk is that much better than the Z-Finder. Are you happy with the Hawk/Redrock combo? How about Redrock’s customer service?